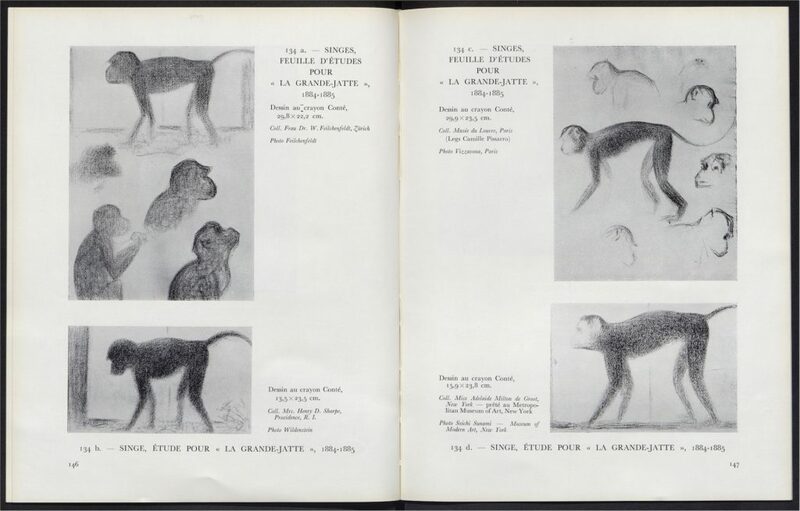 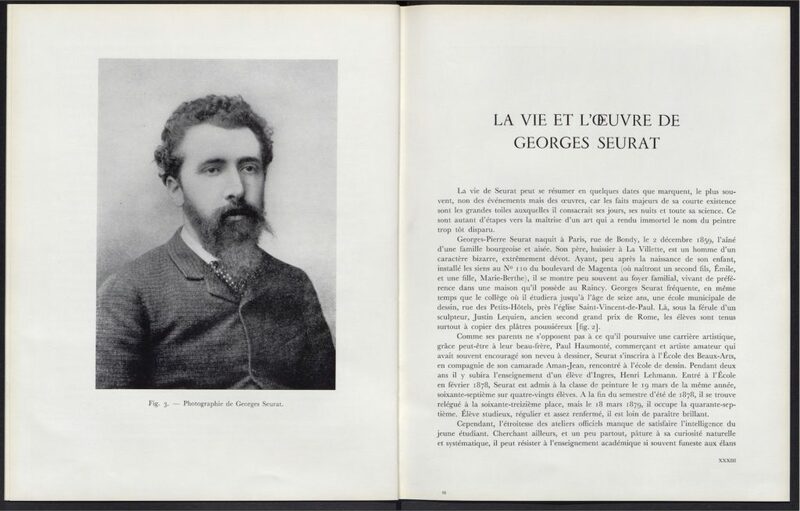 Seurat: L’œuvre peint, Biographie et Catalogue Critique is divided in four parts. 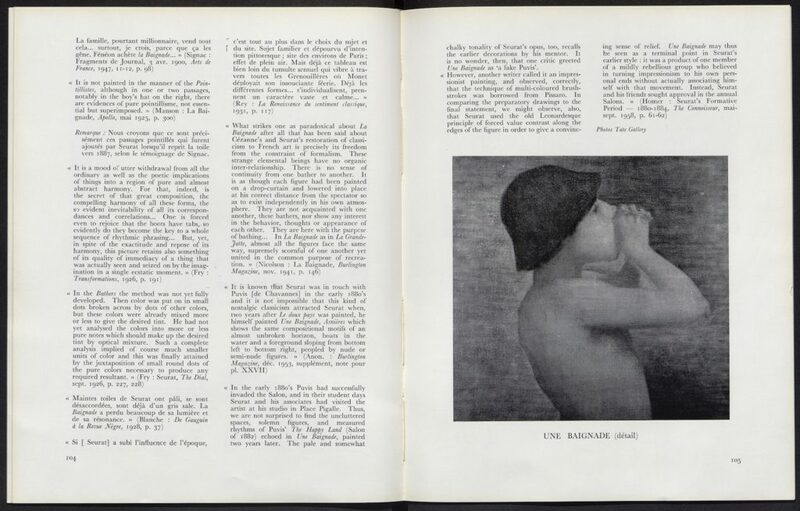 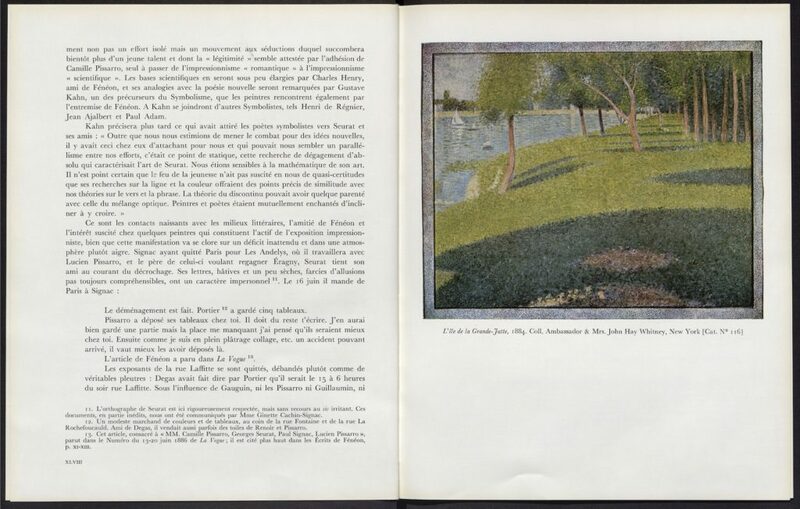 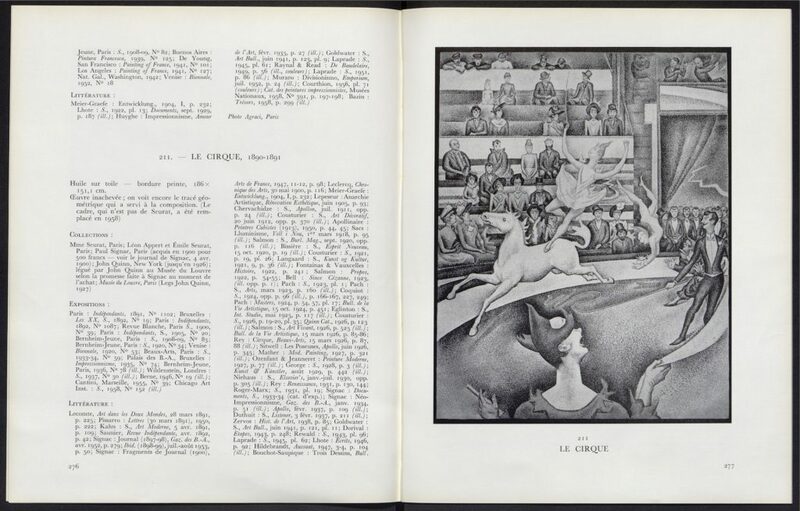 The first section reproduces the writings of the critic Félix Fénéon on Georges Seurat (1850–1891), while the second is dedicated to the biography of the artist, who was one of the leader of the Neo-Impressionist movement, and features reproductions of photographs, drawings and sketches. 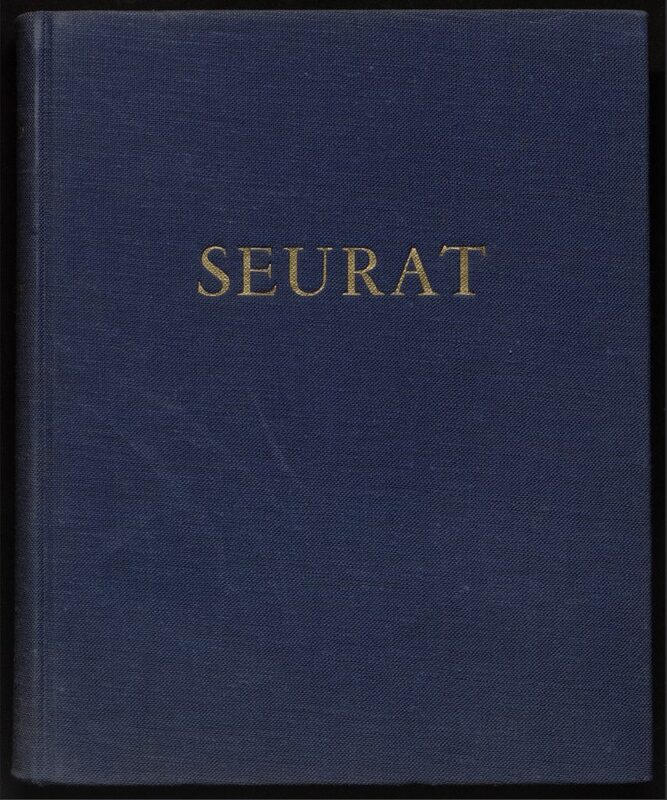 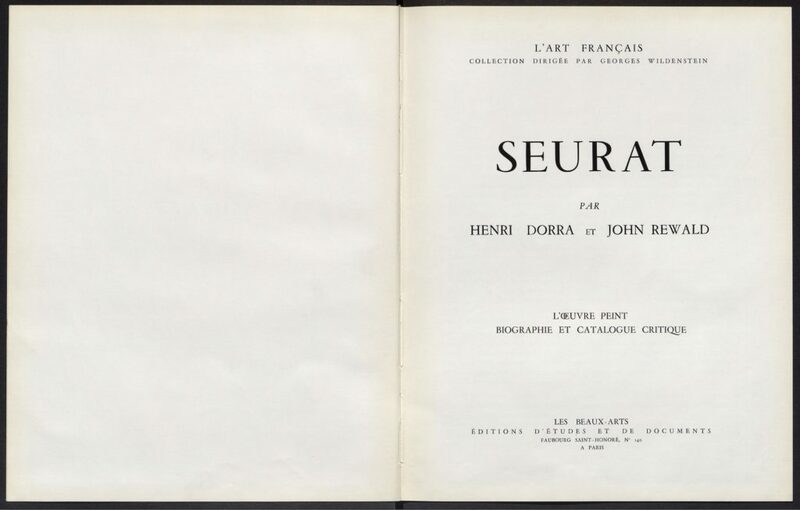 The third part of this volume examines the evolution of Seurat’s work, and the fourth part catalogues Seurat’s paintings, which are organized chronologically.